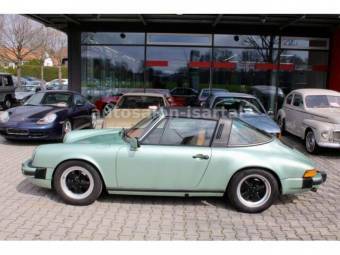 Any901 2.0911 2.0911 2.0 E911 2.0 L911 2.0 S911 2.0 T911 2.2 E911 2.2 S911 2.2 S "Rallye"911 2.2 T911 2.4 E911 2.4 E "Oilflap"911 2.4 S911 2.4 S "Oilflap"911 2.4 T911 2.4 T "Oilflap"911 2.5 SR911 2.5 ST911 2.7911 2.7 S911 Carrera911 Carrera "40 Jahre 911"911 Carrera (WLS)911 Carrera 2911 Carrera 2 "America Roadster"911 Carrera 2 (WTL)911 Carrera 2.7911 Carrera 2.7 (US)911 Carrera 3.0911 Carrera 3.2911 Carrera 3.2 "#250.000 911"911 Carrera 3.2 "25 years 911"911 Carrera 3.2 (WTL)911 Carrera 3.2 Rinspeed911 Carrera 3.8 Cup911 Carrera 4911 Carrera 4 "30 Jahre 911"911 Carrera 4 "Millenium-Edition"911 Carrera 4 (WLS)911 Carrera 4 (WTL)911 Carrera 4 GTS911 Carrera 4 Lightweight911 Carrera 4S911 Carrera 4S (WLS)911 Carrera CS911 Carrera GT2911 Carrera GTS911 Carrera RS911 Carrera RS "America"911 Carrera RS 2.7 (Sport)911 Carrera RS 2.7 (Touring)911 Carrera RS 3.0911 Carrera RS 3.8911 Carrera RS Clubsport911 Carrera RS Cup911 Carrera RSR Turbo911 Carrera S911 Carrera S "50 Jahre 911"911 Carrera S (WLS)911 Carrera Speedster911 Carrera T911 Cup911 GT1911 GT1 Evo911 GT1 `98911 GT2911 GT2 Evolution911 GT2 RS911 GT3911 GT3 Clubsport911 GT3 Cup911 GT3 RS911 GT3 RS 4.0911 GT3 RS Clubsport911 GT3 RSR911 GT3 Touring911 Junior911 Mega Speedster Strosek911 R911 RSR911 RSR 2.8911 RSR 3.0911 RSR 3.0 Group 5911 RSR 3.8911 SC 3.0911 SC 3.0 "50 Jahre Porsche"911 SC 3.0 "Safari"911 SC 3.0 "Weissach"911 SC-L 3.1911 SC/RS911 ST 2.2911 ST 2.3911 Speedster911 Speedster (WTL)911 Speedster 3.2911 Sport Classic911 Targa 4911 Targa 4 GTS911 Targa 4S911 Targa 4S (WLS)911 Turbo911 Turbo (WLS I)911 Turbo (WLS II)911 Turbo (WLS)911 Turbo 3.0911 Turbo 3.3911 Turbo 3.3 (WLS)911 Turbo 3.3 Flachbau (WLS)911 Turbo 3.3 Flatnose911 Turbo 3.6911 Turbo 3.6 (WLS)911 Turbo 3.6 Flatnose911 Turbo 3.6 Flatnose (WLS)911 Turbo 3.6 S911 Turbo LE911 Turbo S911 Turbo S ExclusiveCarrera RSR "Proto"
The Porsche 911 is a two door, high performance car that has been in production since 1963. 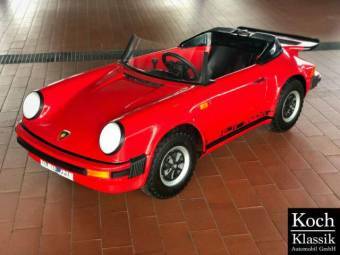 It is made by Porsche AG, Germany. Generally, it features a distinctive design that has undergone minor changes since the original and comes with a rear-mounted engine, and an independent rear suspension. 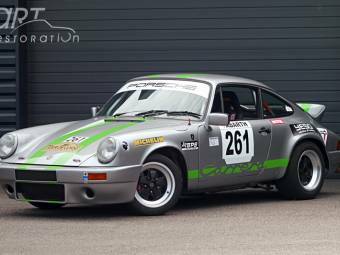 Throughout its existence, the model has been subjected to modifications by racing teams around the world, and is one of the most successful rallying cars ever made. 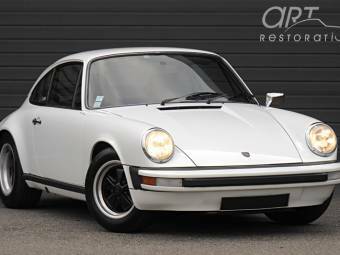 The Porsche 911’s original design was borne from sketches by Ferdinand Porsche back in the late 50s. Its creation was necessitated by the need to have a bigger and more powerful successor to the Porsche 356, which was the brand’s first model. It was first unveiled at the Frankfurt Motor Show in 1963 and featured a Type 745 engine. However, it was christened the Porsche 901, with 901 being the project number. 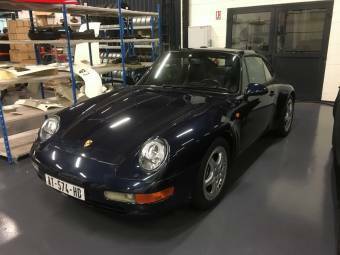 In all, 82 901 Porsche cars were built. 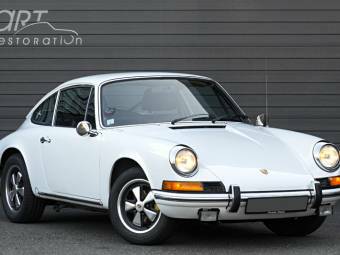 Revered by collectors as one of the greatest Porsche 911 classics, it was in production between 1973 and 1974. 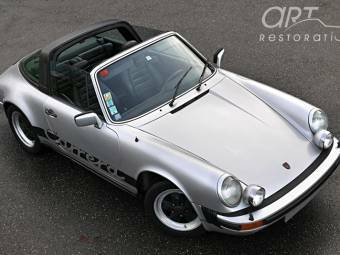 RS stood for Rennsport (German), which translates to racing sport in English. The car was built so that the company could participate in racing formulae, which had a rule requiring participants to have produced a certain number of cars as a bare minimum. It featured a 2687 cc engine, which developed 210 hp. 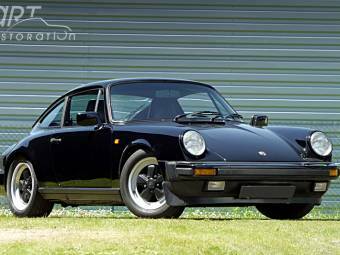 The Porsche 911 and 911S 2.7 models were built between 1973 and 1977 and had revised 2687cc engines, and more torque than their predecessors. They also featured impact bumpers, which were a requirement in accordance with US law. 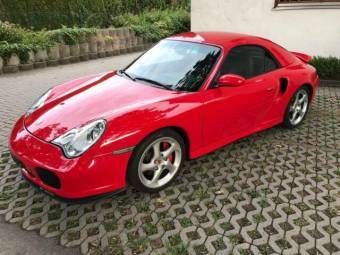 The 911 and 911S 2.7 models came with 2.4 and 2.7 litre engines respectively. 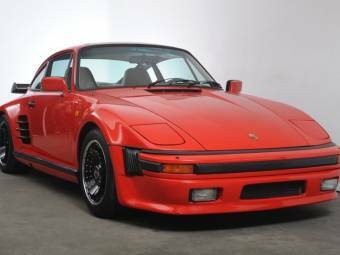 The Carrera 2.7 cars were built for all markets, with the exception of the US. 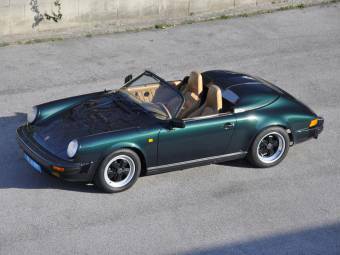 They featured a 210 hp engine, and a Bosch fuel injection pump nicked from the 973 Carrera RS. 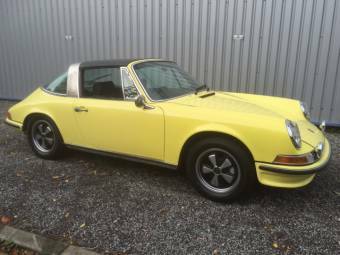 The American model was named the Carrera 2.7 CIS and had the same engine as a 911S and was built between 1974 and 1976. 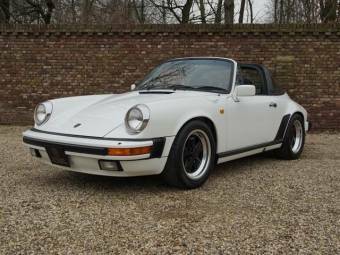 Porsche 911 models created between 1976 and 1989 include the Carrera 3.0 (from 1976–1977), 930 Turbo and Turbo Carrera 3.0-litre (1975 to 1977), 930 Turbo 3.3-litre (from 1978 to 1989), 911SC (from 1978–1983) and the Carrera 3.2 (1984–1989). 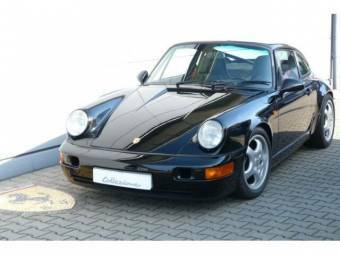 1989 was a year when the Porsche 911 got more than a few developments, which were embodied in the Type 964. 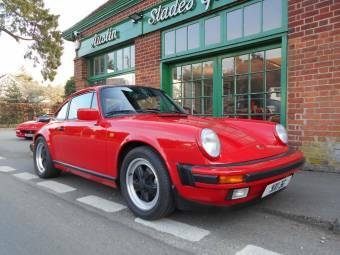 It was however introduced to the market as the Carrera 4, with the “4” standing for four-wheel-drive. Some of the new features on the car included a rear spoiler which deployed at high speeds, coil springs, power steering, ABS brakes, and a 3600 cc engine.